It’s thought that over half of the jobs our children do in the future don’t even exist now! So how can we teach them what they need when we don’t know what they will be doing? At Creation Station we believe that by equipping your child from an early age, with the right tools and knowledge, it will give them the foundation to think, connect, create and inspire. Traditionally children have been ‘taught’ but we believe we need to help kids learn. By sparking curiosity and inspiring imagination we can ignite your child’s incredible hunger to learn and discover more! By bringing the arts into all areas of learning your child can have fun learning about simple first concepts to help them develop a foundation of learning in areas of life. 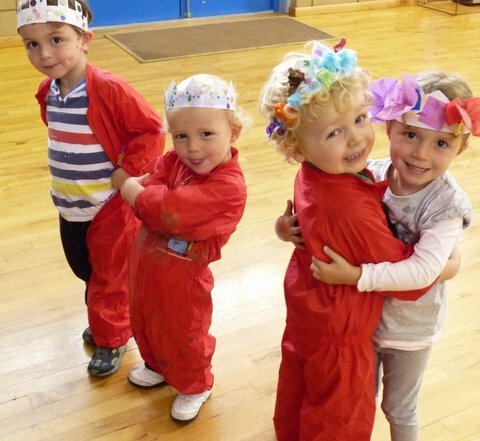 The fun positive creative experiences also develop children’s well-being, self-esteem and confidence. 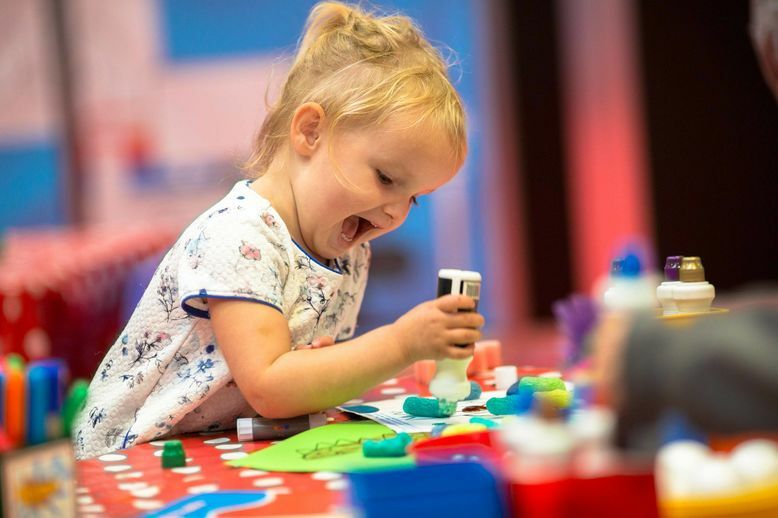 STEAM is now widely recognised as an essential part of learning and as the leading creative activity leader, The Creation Station is now offering a selection of STEAM themed sessions within our new Little Explorer programme, perfect for your 15 months – 5-year-old child. We know how important it is for your little one to learn through journeys of exploration and discovery. 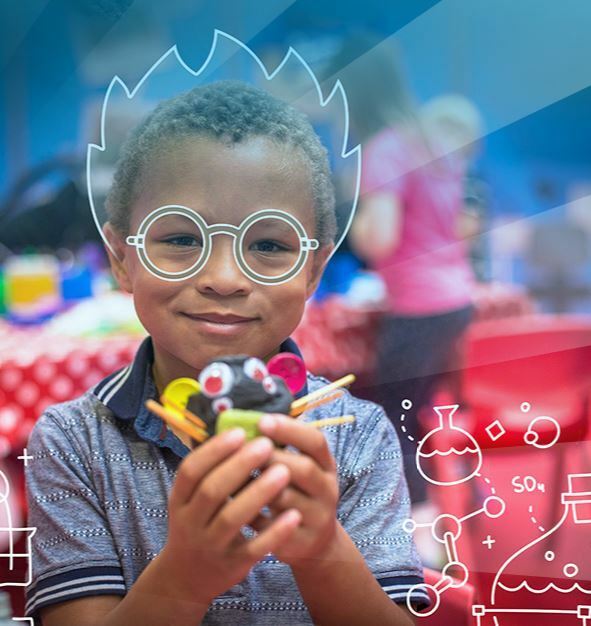 By involving your child in The Creation Station STEAM activities, you are giving your child the opportunity to support their early development in a wide range of subjects including science, technology, engineering and maths. At the same time, providing lots of award-winning creative hands-on fun! Here are the top 10 benefits for your child to attend STEAM classes. Our world is changing, and technology will be a huge part of your child’s life as they develop. As well as The Creation Station programmes being underpinned by the Early Learning Foundation Skills. Many of our classes also have a focus on ‘STEAM’. At a young age, this can be as simple as introducing scissor skills or experimenting with tools such as paint dabbers. Your child will enjoy being able to explore a range of tools and will quickly develop their confidence with these skills. STEAM education builds and encourages problem-solving skills. In the STEAM activities, your child will encounter challenges and then work to correct and overcome them. Making mistakes is the backbone of learning how to think and problem solve. These fun classes will support your little one to be comfortable with making mistakes and trying again, in the safe environment of a weekly class, your child will soon feel confident to try new things. Your child will be able to engage and apply simple concepts to help them gain a greater understanding of the concepts. 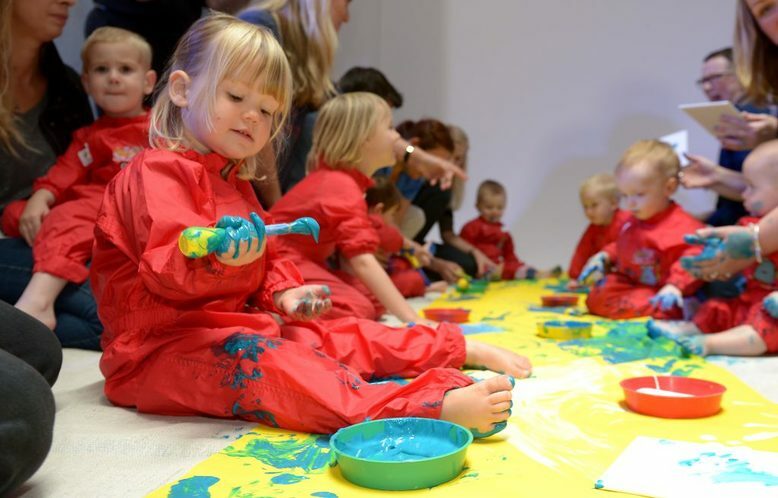 Simple concepts like what happens when the paint is mixed, mark making, matching, freezing and melting, building, counting and sorting will be introduced through a fun and creative way. STEAM is motivating, engaging and real-world inspired. Knowledge is taught the way it is used in the real world, with concepts and subjects interwoven seamlessly. The fun activities help your child learn and apply their knowledge by doing – often without realising learning is taking place as it’s delivered through fun activities. The Creation Station sessions involve play-based activities with a real-life link, for example, making a simple balance scale to weigh the animals to help the farmer. Creative activities develop skills beyond the ‘Arts’. It helps your child, create, think, connect and be inspired. Activities provide a solid platform for understanding a wide range of subjects. 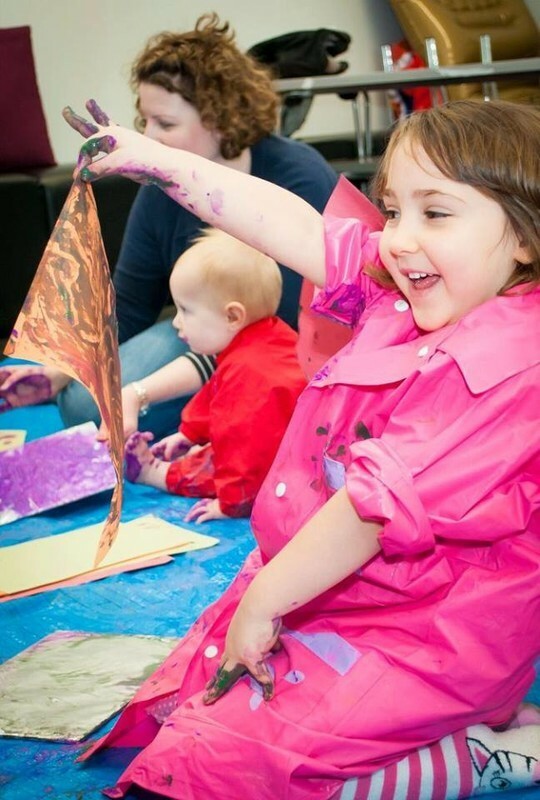 Being involved in creative activities allows your child to see challenges in new ways and to think outside of the box. 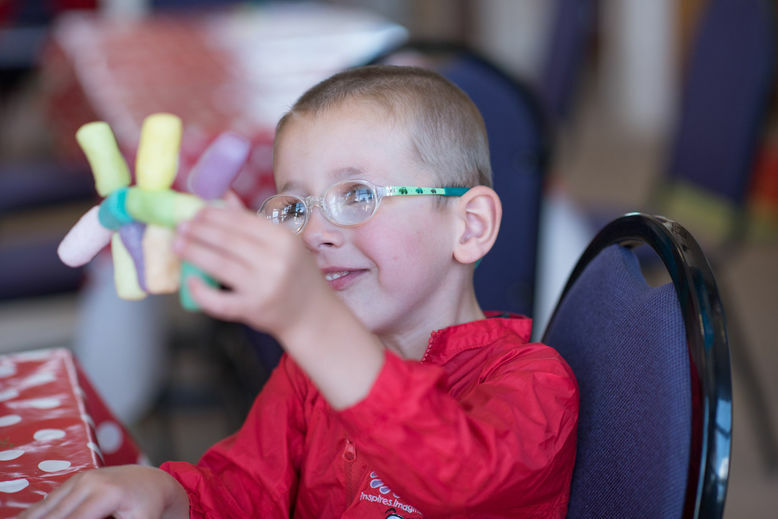 We love art and creativity, and these continue to be the backbone of our sessions with awesome child-led creations to take home and treasure. STEAM makes it accessible for children to get involved at all levels of ability. Activities support your child’s involvement at their age and developmental stage. This helps children at various ages and different ability levels to play, learn, develop and have fun together. Creative experiences encourage your child to try new things, develop their ideas and experiment with different outcomes. Children learn to have confidence in their ideas, make it happen, and if it fails, to try again. Praising your child for the way they have worked through a challenge rather than focusing on the outcome, helps to build and grow mindset, confidence and self-esteem. Your child will experience the ‘whole process’ of completing a project from start to finish. The skills required to learn how to think, research, plan, gather data, design, and draw conclusions are vital to the success of kids looking to solve real-life needs. This foundation can start at an early age by asking questions and helping your child explore, discover and develop by the process of doing. Children are naturally curious and creative. Many of The Creation Station classes are now STEAM linked and provide opportunities for your child to learn by doing, to fail and try again in a safe environment. Activities emphasise the value of failure as a learning opportunity and helps embrace that it’s OK to make mistakes. The activities give your child the confidence to make goals and take measurable steps to achieve them. For example, can they transform a piece of paper into two pieces by tearing? Or by four pieces by using scissors? Can they get the roof to stay on their brick building? We support you, to help your child develop their perseverance and determination in a fun and relaxing way. STEAM fosters a love of learning, instilling a passion and drive to learn. 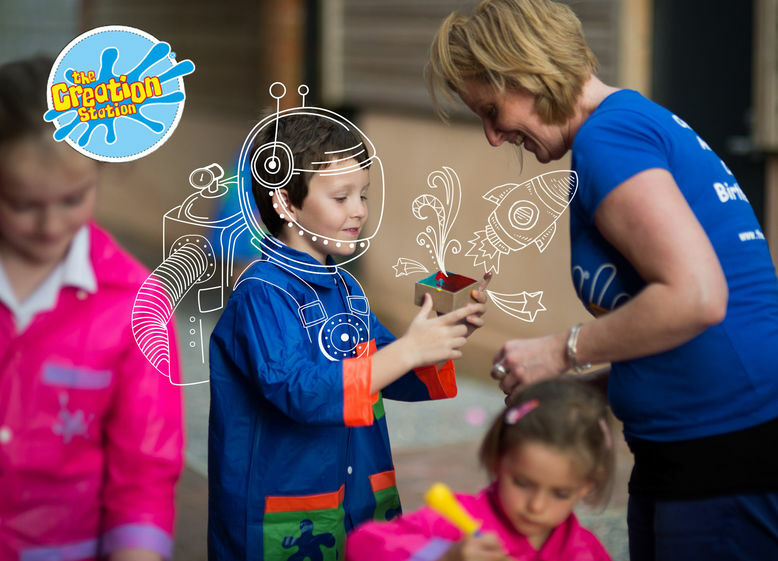 The Creation Station approach sparks curiosity, unlocks creativity and feeds your child’s huge thirst for knowledge. By involving your child into many of the STEAM inspired Little Explorer classes your child will develop a wide range of skills to help equip them as they tackle challenges in preschool, school and the real world.